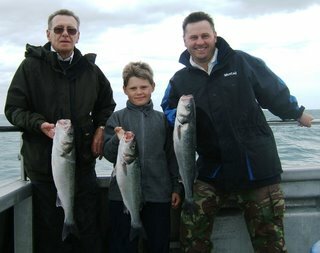 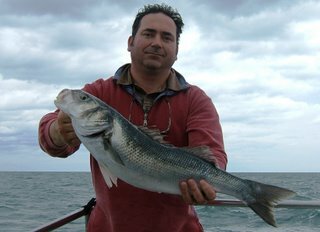 The Isle of Wight grounds continue to produce good bass on live baits. 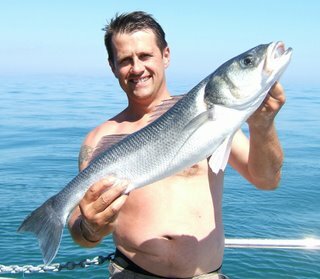 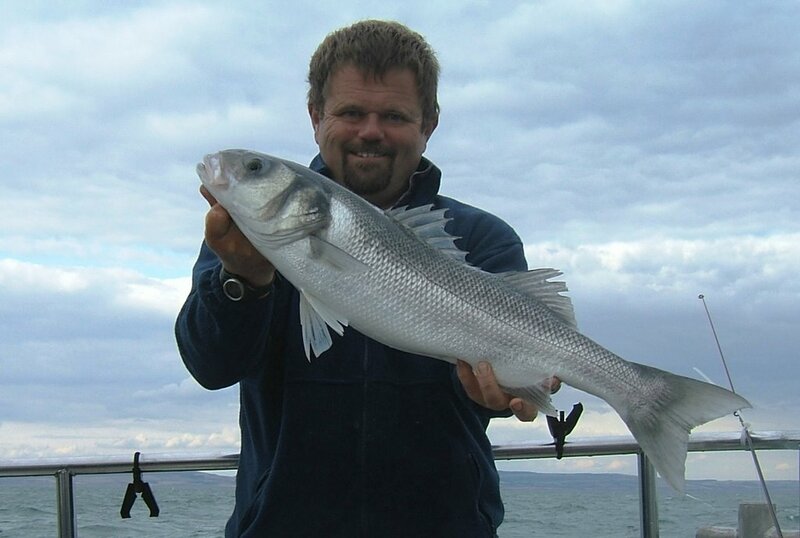 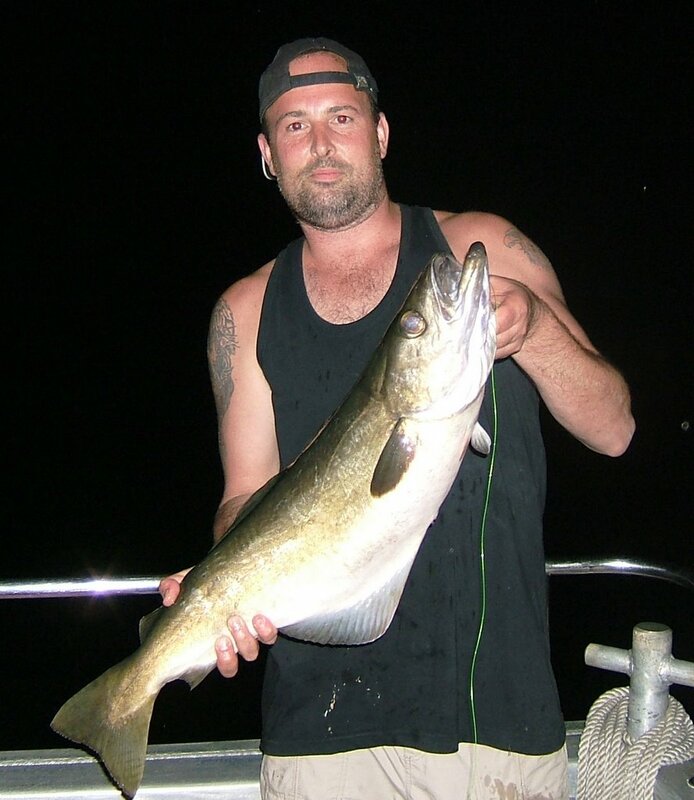 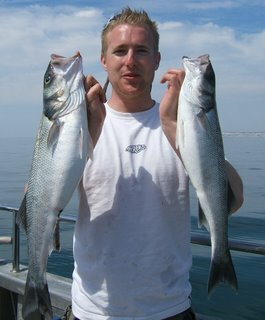 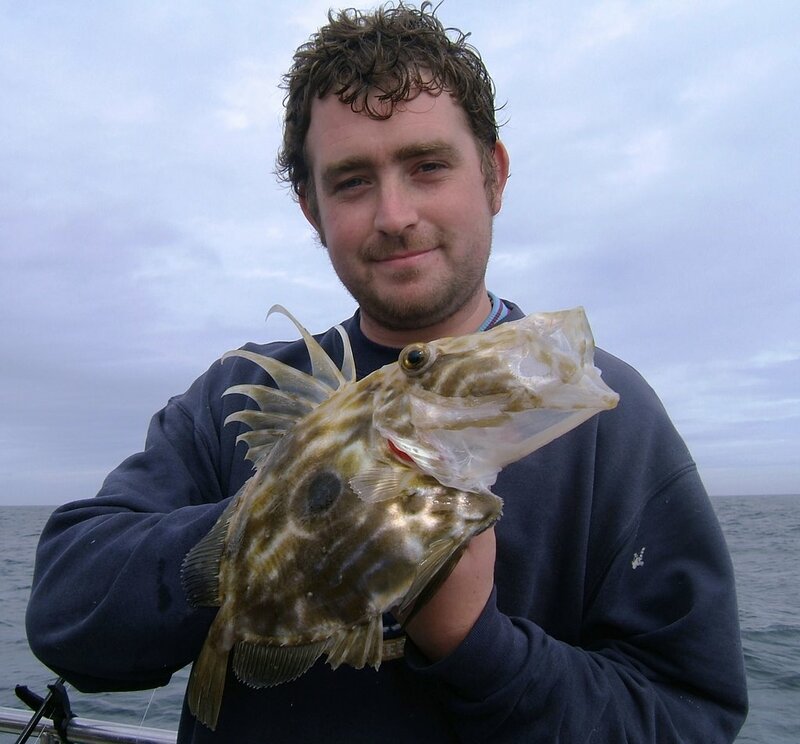 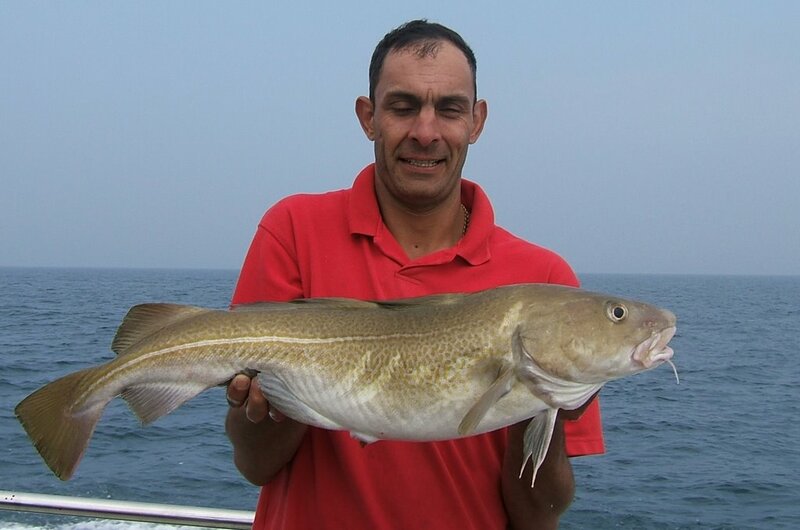 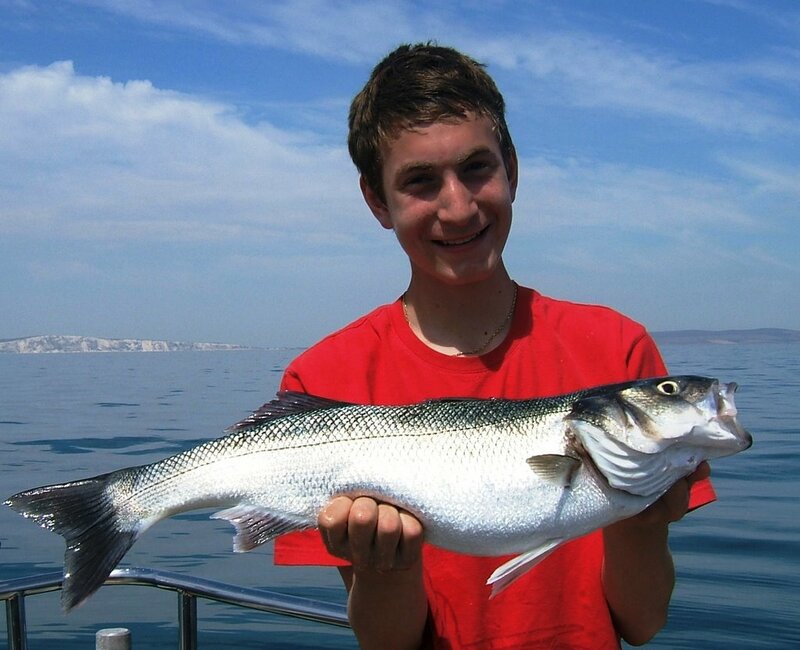 Andy Woodman from Peterborough with a 13lb cod caught on the rips a reef some 25miles south of Poole. 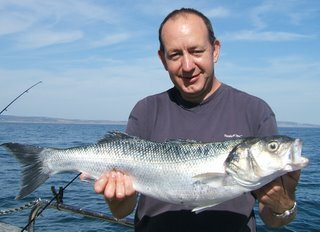 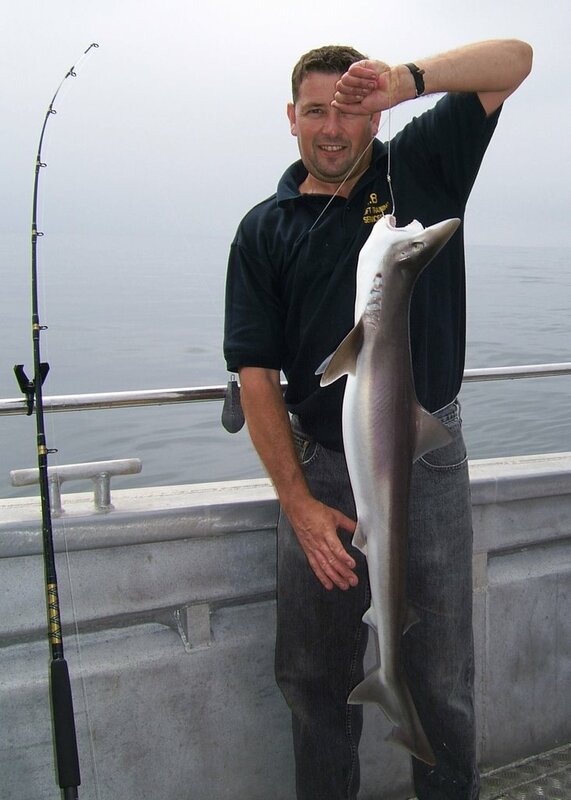 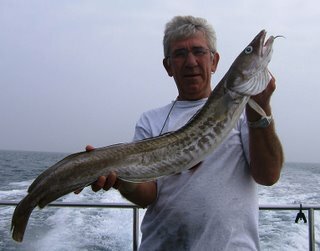 Ian Napier from Poole used alive mackerel to catch this big mouthed 13lb pollack from a wreck 30 miles out. The first John Dorry caught on Silver Spray on a storm shad! 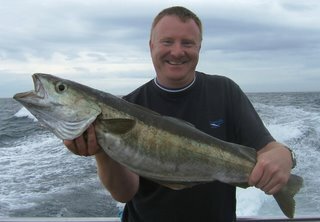 John Fatters with a skinny ling! 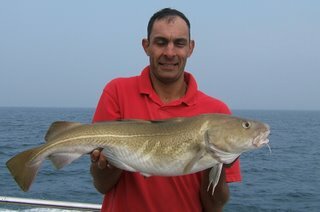 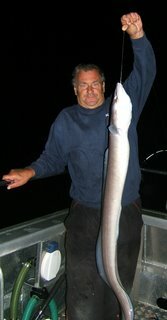 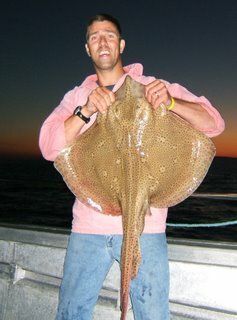 Graham Hobbs with a 49lb reef conger. 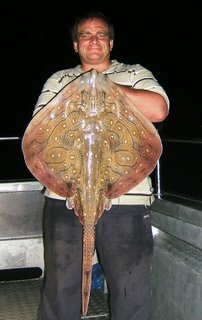 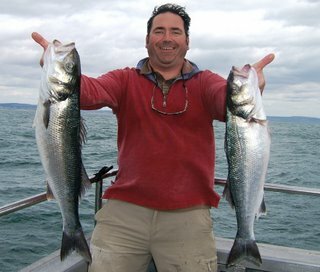 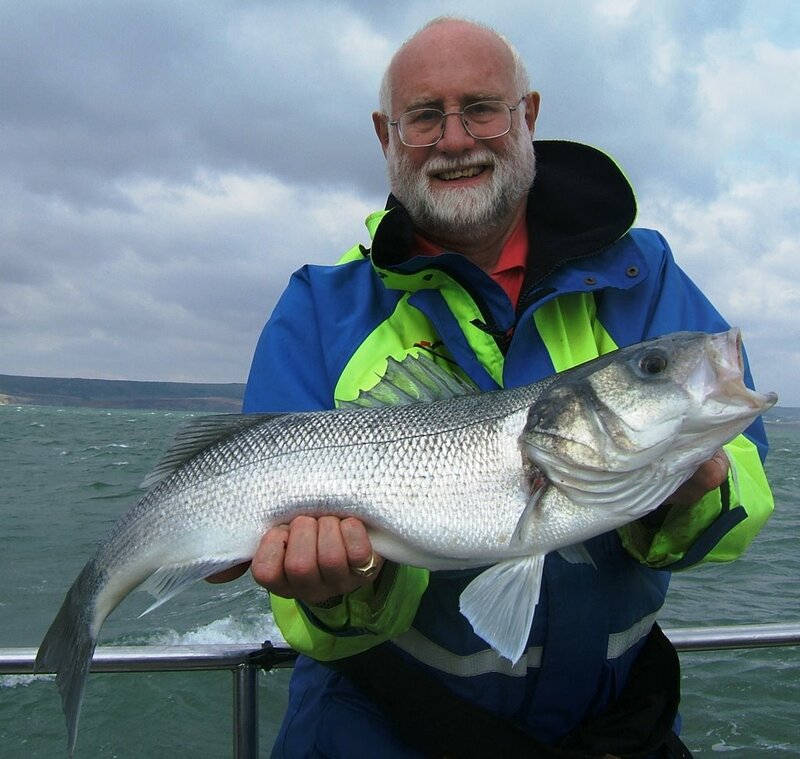 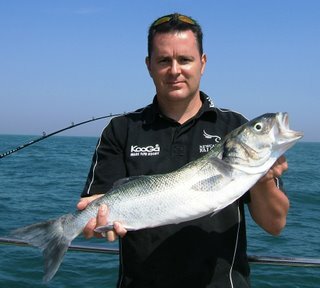 Graham is tall chap but not as long as his conga..
Craig Clark with a double hander of 8 & 6lb bass.